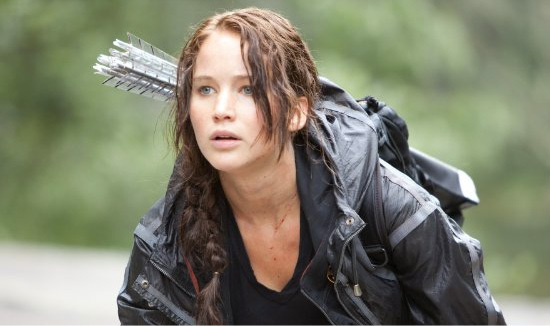 Who’s Afraid of Katniss Everdeen? Who could possibly have a problem with attractive teens battling to the death to serve an autocratic overlord? This week I polled FB to ask folks if I should read the Hunger Games books. From seasoned sci-fi people the answer was, yeah go ahead, it’s well-executed popcorn so why not. Don’t let your kids read it…yet. No question on that as our Miss A. is a sensitive soul and even the most youthful of pre-YA dragon/adventure type books raise some questions. But in fact there is not much chance I will read these books, and not because I’ve become a genre fiction-scorning snob (like my buddy who said, who has time for Hunger Games when W. G. Sebald beckons?). The strange reality is that after a lifetime of reading dystopian fiction I’ve become a bit freaked out by it. How could this have happened? In thinking over the whole realm of alternative-reality technology-driven fiction that I’ve loved my whole life, I realize that I can scarcely think of a major figure that hasn’t worked in a little post-apocalpytic magic. Even ol’ Heinlein, who I look back upon as being Mr. Starship Optimist of the 60s/70s, had the militaristic post-alien-attacks Earth society of Starship Troopers, and of course Bradbury brought us Fahrenheit 451, not to mention the post-atomic Martian Chronicles stories. I read things like A Canticle for Leibowitz a bit too late, I think…even though the TV movie “The Day After” happened during high school for me, I was not marked as profoundly by worries about nuclear annihilation as kids maybe 5-15 years older than I was, though a lot of the books mentioned here were. But obviously William Gibson’s Sprawl trilogy, and Neil Stephenson’s Snow Crash, which ushered in a wholly new and kickass period in the genre, rest on a foundation of dystopian (not entirely post-apocalyptic…except if you happened to be in Bonn when it was nuked) corporatist worlds with enfeebled nation-states and a lot of entropy. And then you’ve got the Terminator and Mad Max movies…nuff said. Clearly this is one of the dominant themes of great scifi. And for evangelical tastes, there’s the Left Behind series! Davy: this novel by Edgar Pangborn, from the mid-60s, recounts a young guy’s romp across a post-atomic North America. The part that stayed with me was where a woman in his troupe/gang gives birth and it is a mutant monster that has to be killed, after much hope that at last normal children could be born once more. I remember reading this in my room on rainy days while listening to “Under Pressure” by Queen and Bowie, and hope that my contemporaries can respect or take pity on the cultural matrix that created me. The Long Walk: Steven King (writing as Richard Bachman) produced in the late 60s (as a college freshman!) an obvious but little-acknowledged progenitor of the Hunger Games. The book is about teenage boys in a future Amurikka who enter the Long Walk, a chance to walk the farthest of 100 boys and win a big prize from the Major who rules the country. The winner walks, losers (anyone who falters) gets shot by the side of the road. I am always reminded of this book when setting out for a day of walking and reminding myself to wear leather-soled shoes and not sneakers…Tip #3 for Walkers. The Sheep Look Up: a John Brunner book from the early 70s that introduced me to the eco-dystopia genre. Lots of vaguely remembered, horrible scenes here, like a character looking out across the river in New York and seeing a big bunch of worm-like garbage monsters seething…that kind of thing. The Handmaid’s Tale: despite what you may think of me as an Adrienne Rich-lovin’ male feminist, I don’t really have the wymyn chops to claim this book as a major inspiration. But I find it comes back to haunt me in surprising ways: for example, when taking our girls as babies to the grocery store I was reminded of how Atwood’s theocratic revolution started–with crazed women stealing babies from their mothers at the supermarket, right here in Cambridge, Mass. So with all this said, what would possibly give me pause from picking up the Hunger Games like the rest of the world? Last year I picked up a recent entrant into the Twilight-inspired sweepstakes of defining a new multi-book, multi-movie franchise involving vampires, hot young things, and whatnot. It’s a book called The Passage by Justin Cronin, which starts in near-future US with an ill-fated military research effort to create a bunch of vampires (we’ll use them for special ops!) who end up escaping and taking over the continent. We then flash forward 70 years to a lone bunch of survivors who leave their fort to seek solutions…in Vegas it turns out. From an objective standpoint, you’d have to say this is a decently-written but derivative work, with big debts to The Stand, for starters. It is the kind of book I’ve been picking up and eagerly devouring for many years. But I found The Passage strikingly, unprecedentedly troubling. It is almost embarrassing to tell, but there is a section that recounts the last gasp of the US as a functioning nonvampire state: a special armored train is prepared, with flame-thrower positions to defend against vampire attacks, to take some children from Philadelphia (last surviving city) to the fort in the West where a Citie upon a Hill will be founded to hold out against the darkness. Enough of the train makes it to seed an attractively multicultural group of warrior youths who represent the main cast of characters 70+ years later, whose minds are haunted/infected by the original bunch of vampires created by the military. Because the vampires have well-nigh supernatural powers, OK? I read this while in Florida with our family and my folks. The train full of kids haunted me. Even (sorry) the whole brains-infected-by-uber-vampires thing was freaking me out. I had to stop reading and still had trouble getting to sleep…not exactly imagining what would happen to my kids in the train, or any transposition so direct as that, but still haunted. I didn’t finish the book. There are some obvious changes in my life since my youthful heyday of reading this kind of thing: there are losses; there is the gain of wife/three daughters. Are these enough to explain my loss of appetite for this particular strain of scifi? Tell me, reader, it is not the vampire bit. I went over to the Wikipedia page for the Hunger Games and felt some of this same anxiety creep over me when reading about Katniss, Peeta and pals. I think I might have to take a break from this post-Long Walk category. Actually an interesting test would be to read either the Long Walk itself, or perhaps The Stand, to see how I react to those. Then we could trace the literary virus at work here down the youthful-exploitation-dystopia or vampire branches of the scifi family tree. I hope somehow that I need to add fiber, sleep more and avoid vampires rather than avoid apocalypse and its aftermaths. 1) The Passage is vastly different from HG. The former is much better written and is incomparably more creepy and scary. The HG is popcorn, as you indicated. The argument for reading it is more about being up on the current current than anything else (tho this is a slippery slope that might have led to opening a Twilight book a few years ago – the horror!). I suspect the changing impact of books like the Passage has much to do with a maturing awareness of mortality. 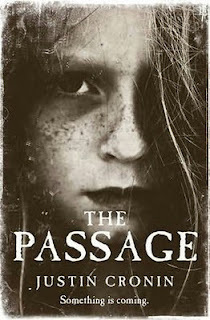 2) I think the children on the train bit in the Passage might have other connotations that slips into real world monsters and hence resonates. 4) Generally creepy/scary doesn’t stick with me, but I must say that Banks’ relatively new Surface Detail conjures up a crazy/persistent eternal Hell that has staying power in that it is vaguely plausible in the future. . . essentially a virtual reality hell into which downloaded copies of one’s personality (self aware, natch) are inserted to spend all of eternity . . . coupled with his always lurid descriptions, it’s something else. JWH that darn maturing awareness of mortality is impinging on my life in so many ways! Steven King/Bachman’s mastery has not faded with time. Thanks for reading. In fact, I was thinking about The Long Walk while I read The Hunger Games. In a similar vein to this post, I just finished reading Flatscreen which is in the useless slacker, post-college doing drugs trying to get laid genre (is that a genre?). Anyway, it was a waste of time except for the fact that the author lived in Waban and describes the neighborhood. It’s not that it’s a bad book, but it’s somewhat ridiculous to read in your 40s. Back to The Hunger Games: it’s useful to read in a pop-cultural sense, possibly to keep up with the girls, but by the time they get to their adolescent years, no doubt another lit phenomenon will have long overshadowed Collins’ trilogy. Thanks Jack. The Long Walk’s competition gets as far as Danvers, apparently a record, but would have to get even further to reach Waban and intersect with the local slackers. I think it’s a testament to your healthy self that you see these post 9/11 dystopian, and gothic scifi books as too morbid to contain within the new landscape we inhabit . How be even fitfully cheerful with your young children, wife and yourself, after immersing yourself in these light yet dismally heavy fictions? ” When you look into the abyss for a long time the abyss looks back at you,” to paraphrase the great man. It’s time for a turn around, and not just “have a grate day!” but fiction that can include more than the dark. Maybe you can write it? But, at least try and read some of it.